Barrier-free showers are becoming more popular in home remodels, and can benefit essentially any age group and any resident of the home. 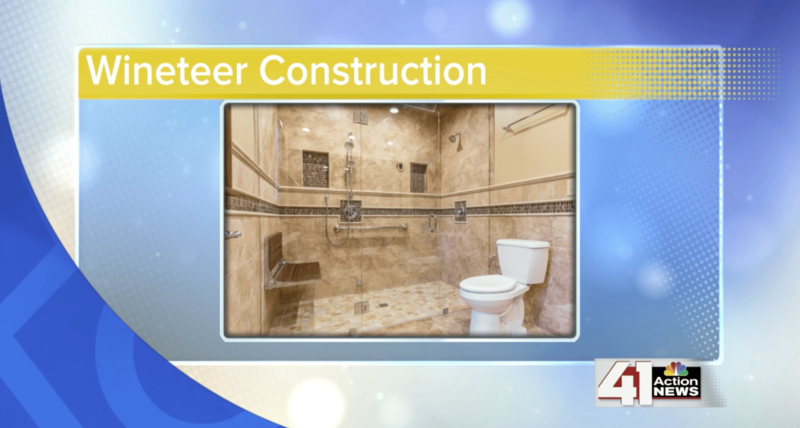 Not only does it assist older residents with independence to remain at home longer, but you can also incorporate the universal design techniques to keep with the current bathroom design trends. This means that it’s in the design to ensure our barrier-free showers don’t look institutional. We want you to feel comfortable at home as long as possible, matching your desired look and feel, too. Any equipment that assists with mobility (i.e. walkers, wheelchairs, etc.) is able to maneuver into and around these showers, as there is no curb or threshold that would hinder the entrance. The main focus to barrier-free showers is safety; other accessories such as flip up and down shower seats and grab bars can offer additional ease and safety. The bottom line: barrier-free showers allow for easy entry and accessibility. Anyone can benefit from these universal designs and safety techniques. Join the barrier-free trend! Contact us for more information, and schedule a consultation today!